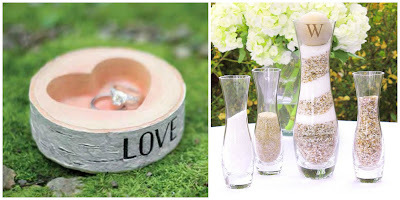 Fall has become a very popular time for couples to plan a wedding. It's not too hot and not too cold, and in most areas the scenery is changing in vibrant and beautiful ways. Here are a few of WhereBridesGo.com's favorite items to wonderfully compliment any wedding in the gorgeous season of autumn. Warm colors like reds, oranges, deep yellows, browns, and dark greens are all hues that most people associate with the fall season. Metallic accents are a great way to add an exciting pop of color too. 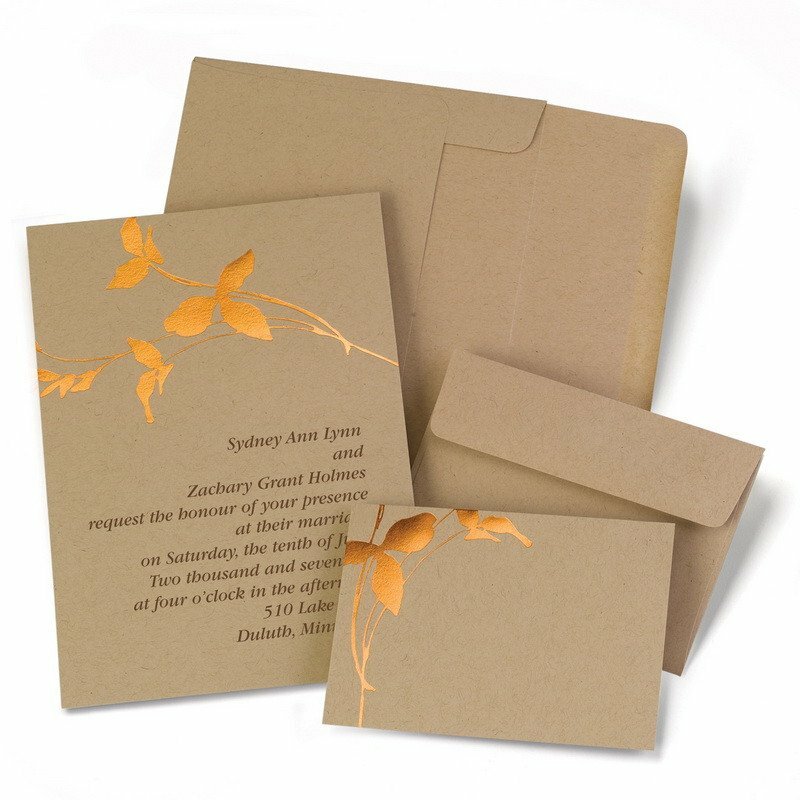 Show off the season you will be getting married in by introducing everyone to it through the invitations that you choose, and continue that theme through your other printed items. 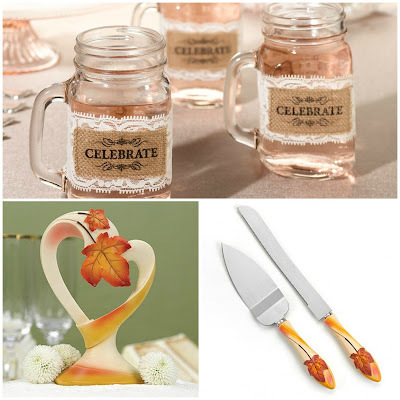 We have many wonderful wedding party gifts that are perfect for a fall wedding. If you bridesmaids love to cook, these Gold Dipped Ceramic Acorn Measuring Spoons will be adored by them. Fall is for deer hunting too, and these Antler Bottle Stoppers fit right in with the season. 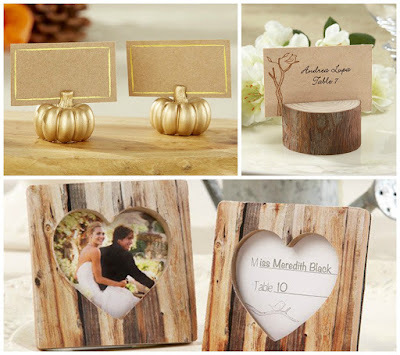 An autumn wedding is a good place to incorporate a lot of natural elements. Different grains of wood, branches, leaves, pumpkins, apples, etc... work well, and burlap and lace are an excellent compliment to these. wish us a love to last forever. ring the bell for lifelong bliss! 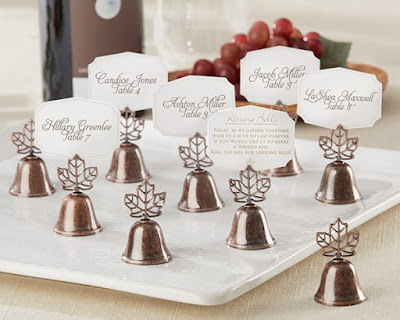 We carry lots of wedding place cards with an autumn theme to help your guests easily find their seats. 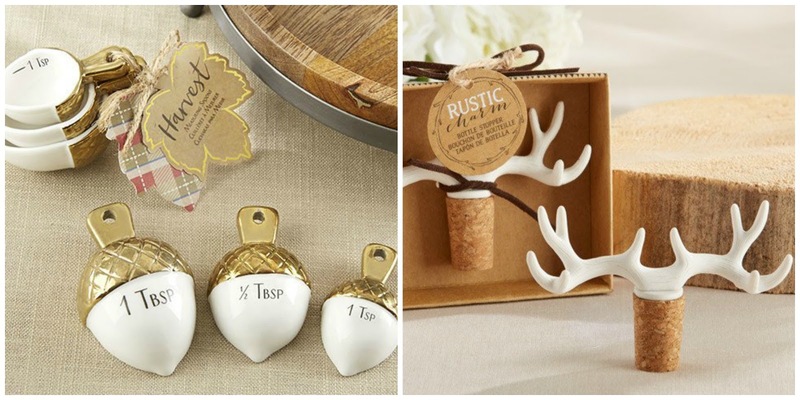 These double as adorable favors for everyone to take home too. 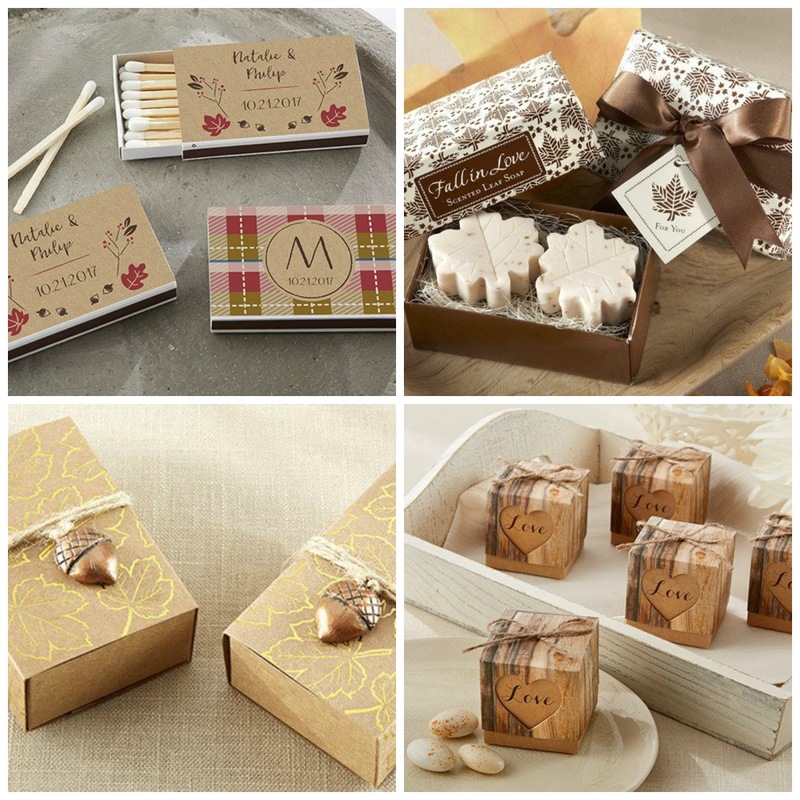 Speaking of favors, your will find tons of great wedding favor ideas at our online wedding accessory store. Personalized match boxes will come in handy for lighting fall campfires. You will find plenty of containers to hold candies, almonds, or mints, plus cute charms to decorate the boxes with. You guests will love our "Fall in Love" Scented Leaf Shaped Soap Favors too. These Burlap Glass "Celebrate" Wraps fit perfectly around your guests cups of hot cider or fruity punch. If you have utilized your fall theme on the wedding cake, you may want to use our Simply Autumn cake topper and serving set. No matter what time of year you choose to get married, you will always be able to find something to fit the season at WhereBridesGo.com. We strive to offer the most beautiful items for every wedding. After all, we are "Where brides go for what brides love!"